Join Richmond SHRM and Libby Dishner for this webinar that will discuss how to create a coaching culture and the benefits of doing just that. You've read countless articles about “Hot Topics in HR" or “What Keeps CEOs Up at Night." In those article often times they are about building a certain type of culture and/or lack of a leadership pipeline. Ever wish you had a silver bullet to help your organization with these issue? Well, coaching may be just that. Join Richmond SHRM and Libby Dishner for this webinar that will discuss how to create a coaching culture and the benefits of doing just that. From writing job descriptions, hiring, training and performance reviews coaching can permeate your culture and help deliver business results. 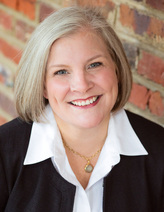 Libby Dishner, MLHR, ACC, is a Founding Partner of Cresco Coaching and Consulting. As a sought-after leadership coach, human resources strategist, and speaker she helps people find success and happiness by reaching for their full potential. Cresco was founded on a belief that people go to work to contribute something meaningful for both themselves and their organizations. No one goes to work to do a poor job. Leaders set the stage and enable their teammates to perform or not. The Cresco philosophy is that people can, and should, show up energized and have a little fun every single day. That combination delivers results and it’s up to the leaders to create that culture. As part professional coach and consultant, Libby leverages her 20+ years in the corporate world, most recently as an HR executive. She holds a Master’s Degree in Human Resources and is credentialed by the International Coach Federation (ICF) as an Associate Certified Coach. With Libby’s experience and education, it’s no surprise that she enjoys her work with individuals and organizations as they develop and implement leadership programs, coaching and HR strategies. Program has been approved by SHRM for 1 PDCs towards SHRM-CP and SHRM-SCP recertification and approved by HRCI for 1 (General) credits towards PHR, SPHY and GPHR recertification.